The Northern Lights (Arora Borealis) have swiftly become one of the world most desired natural phenomenon! No question why really when you consider the wonder and beauty of the sight. Travellers from all over are frequenting spots hoping to catch a gimps of the Lights! As something I’ve always longed to see I’m planning a trip and crossing everything that with a lot of planning and a bit of luck, I get to experience the wonder myself! If you, like me, are considering a trip to the lights then I’ve condensed my research and planning into this post to help you get the best out of the experience. So, where can you go to get the very best chance to see the Northern Lights? 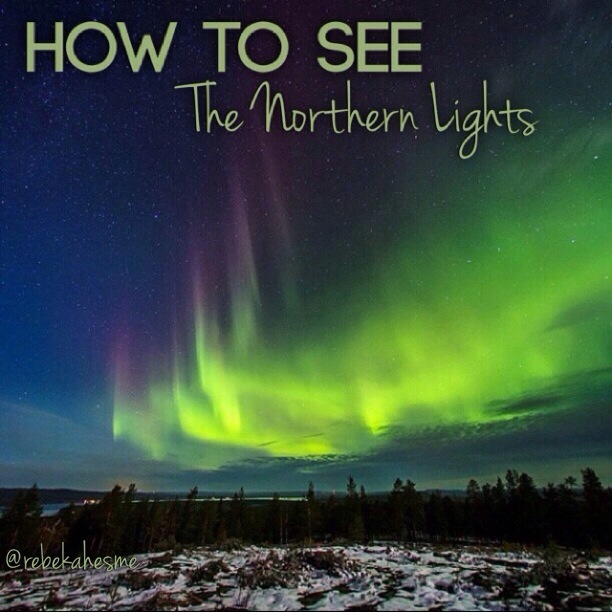 Travel guides, explores and bloggers alike have all assisted my research into the best places to see the Northern Lights and it would appear the most common places to view them are Norway, Finland and Iceland. However the lights can be seen from less conventional spots such as Alaska, North Canada, Sweden & Greenland. I myself have decided Iceland will be the place I visit with hope of seeing the Lights. So, why Iceland? I don’t believe it’s wise to book a trip purely on seeing the lights so the activities in Iceland appeal the most to me. I am planning a driving break where I will take a trip to the Geysers, Hot Springs & Thrihnukagigur Volcano. According to experts the best time to see the lights ranges from November to March, records of sightings suggest that November and March are the most successful and, having known 2 different groups of people who ventured out to Iceland in March then I’ll take my chances on then! The Lights show can last for any amount of time! Generally they last around 20 minutes but they come and go dependant on the atmosphere. The northern lights come in a variety of colours that are dependent on different gases. When oxygen atoms and molecules get bombarded they release green and red photons. When nitrogen molecules get struck they release the beautiful and rare purple light, the lights generally appear green to the eye and swirl in beautiful movements along the sky. If you’re planning a trip to Iceland then it’s advised that you take a ride out of Reykjavik, light pollution makes it difficult to spot the Arora Borealis, your better recommended to stop the night in less populated areas.